The GDPR Deadline Has Passed: What Should You Do? The General Data Protection Regulation (GDPR) is a monumentally important data protection law that impacts virtually every organization that maintains information about residents of the EU. While these new requirements may be difficult to satisfy and maintain, complying with the GDPR will yield enormous benefits for any organization that gets it right. 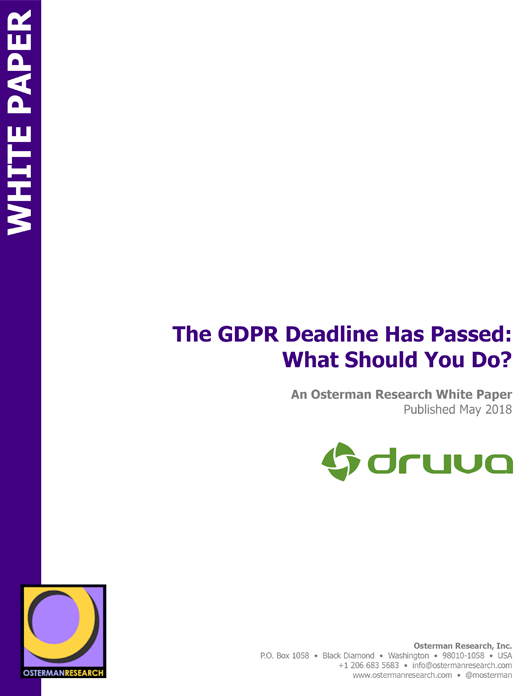 In this report, Osterman Research examines the pros and cons of GDPR compliance, why it’s necessary for all organizations, and how to accelerate this new form of compliance now that the deadline has passed.